Sands Cares, the corporate giving and community engagement program of Las Vegas Sands, is dedicated to being a good corporate citizen, committed to its people, communities in which it operates and the planet. In each region, Sands Cares has Corporate Social Responsibility (CSR) leads that manage the program and execute initiatives unique to each region. Born and raised in Singapore, Joyce Siew graduated with a degree in English and Sociology and began her career in various communications related roles in both the public and private sector, before joining Marina Bay Sands’ communications and CSR team in 2012. Siew works closely with local organizations that align to the properties CSR charters, which focus on youth and education, to understand the greatest areas of need and assess how Marina Bay Sands can best use their resources to help. In 2017, the team organized over 30 volunteer events on different scales, coordinating over 4,500 volunteers and at each event where the property averages more than 200 volunteers. One signature event, Sands for Singapore Charity Festival, has been the biggest initiative for Marina Bay Sands since it started in 2013. The event utilizes every single facet of the property to give back to the community, where attractions play host to vulnerable communities, meeting rooms transform into venues that enable Singaporean charities to raise funds, and award-winning restaurants open their kitchens to train adults who have lost the means to support themselves due to personal reasons. One example of skills-bases volunteerism is the Sands for Singapore career workshop, where Team Members engage directly with Singaporean students to share insights about the hospitality industry, what it takes to do the job and how to succeed at it. The property has also worked with local organizations focused on developing character and leadership for vulnerable youth, placing youth in a two-week apprenticeship with departments such as attractions, retail and the ArtScience Museum. Another special event unique to Marina Bay Sands is “In Conversation With,” a series where Singaporean youth have the opportunity to meet, be inspired and learn from talent, which in the past has included Tom Holland, Aamir Khan, Corinne Bailey Rae, Sir Julian Fellowes and Gordon Ramsey. But the largest event that Siew and her team organize is shared amongst Las Vegas Sands properties around the world. Some of the organizations partnering with Marina Bay Sands are Association for Persons with Special Needs, Cerebral Palsy Alliance Singapore and AWWA, a social service organization that works with vulnerable families. Many of the volunteer efforts for the property revolve around these organizations, with the effort of strengthening the bond between Team Members and the people served by these organizations. Marina Bay Sands has also supported the Singapore Community Chest since the property opened in 2010, with the Comchest Heartstrings Walk and Race to the Sky becoming the finale to the Sands for Singapore Charity Festival. 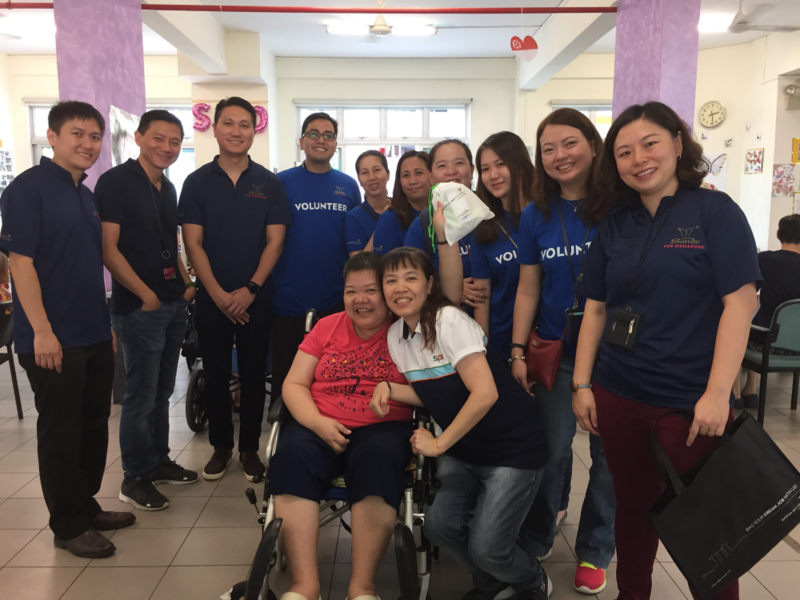 Partnering with various organizations in the community has allowed Siew to gain insight into Singapore’s social landscape.